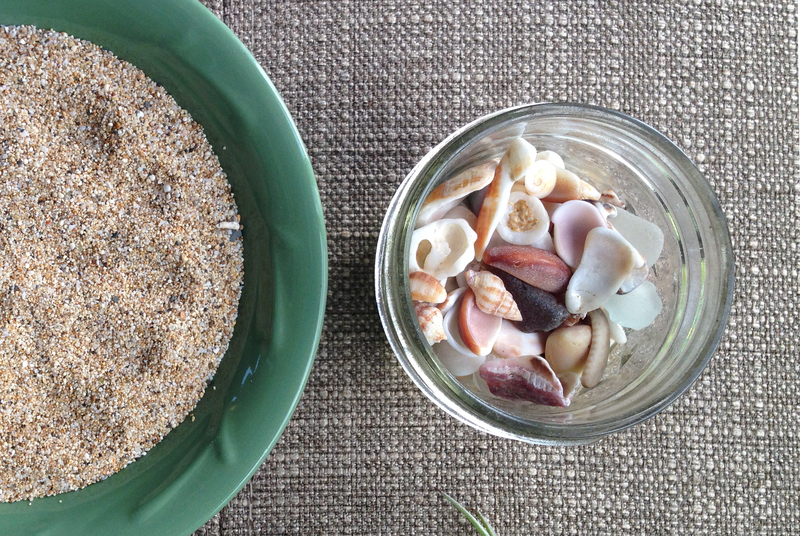 Some of my favorite things: jars, shells, sand, plants. 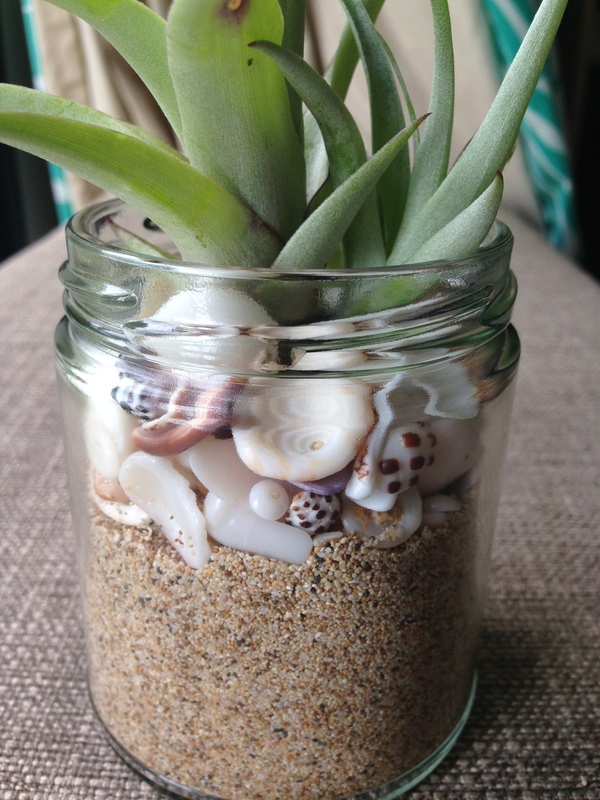 Here is a super easy DIY to add some beachy earthiness to your bookcase, coffee table or kitchen. Start with your base layer. It reminds me of making a dessert truffle, layering the cookies, crumbs, pudding, cake and basically all things delicious. You can choose as many layers as you’d like. Start with the smallest layering items first and work your way up. 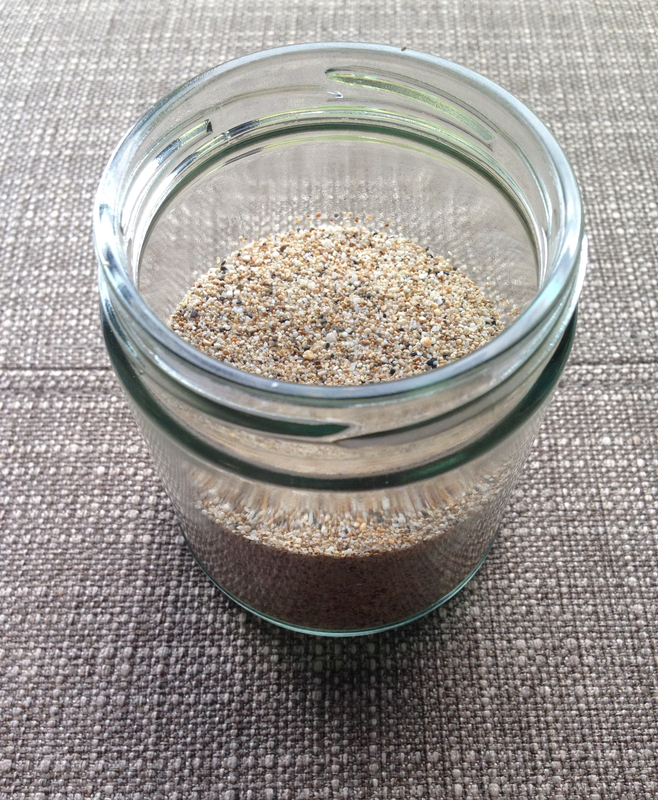 Continue adding your layers until you’re just below the rim of your container. 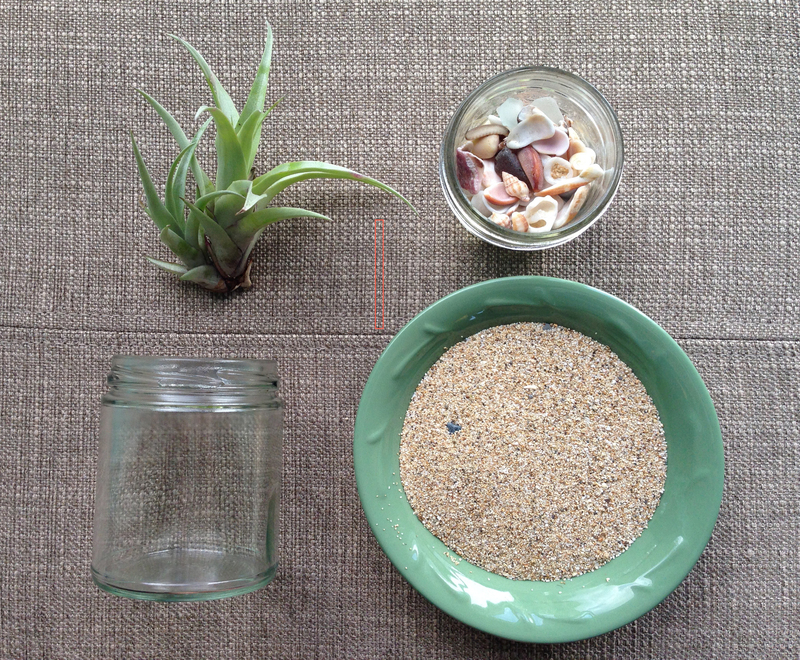 Snuggle your air plant into the enter and you’re done! 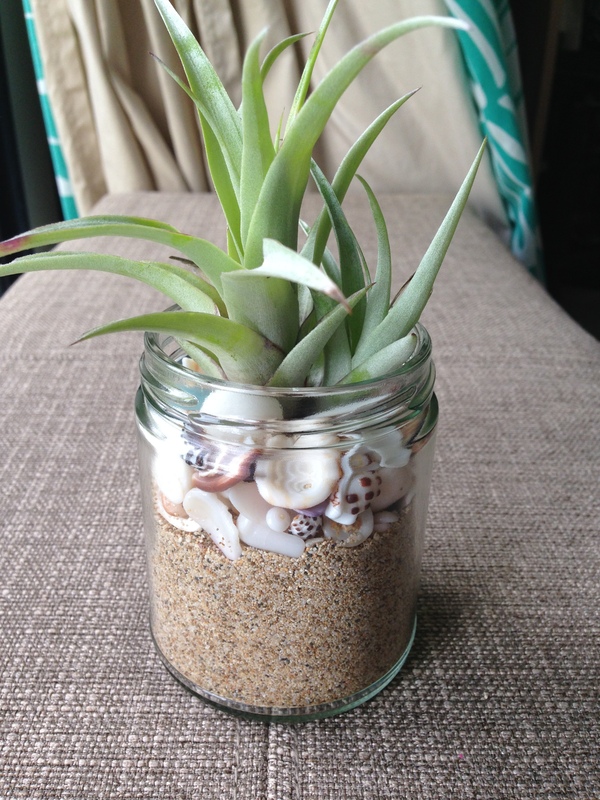 These air plants are fairly easy to love. If they start to look a little dry or start browning, spritz them every once in a while with some water from a spray bottle. These are hardy, easy to make, super versatile and affordable! Enjoy!